If the exclusion is doubled only “temporarily,” should we use it? The answer is, unequivocally, yes. The reason is two-fold. First, it gives a lot of room for different traditional estate planning strategies, such as gifting to an irrevocable trust or a Qualified Personal Residence Trust. But, this may also leave room for using some exclusion to save income tax. For example, let’s say your client and his adult daughter are extremely close. She is single and has no income. The client owns a stock worth $90,000 which the client purchased for $40,000 and wants to sell. If the client sells the stock, the sale will trigger a gain of $50,000 ($90,000 less $40,000). The gain would be taxed at 23.8%, or $11,900, since the client would be in the top income tax bracket. If the client were to give the stock to the daughter and she sells it, her standard deduction amount would shelter $12,000 of the income. The rest of the $38,000 of gain would be taxed at 0%. So, the client’s daughter would pay no federal income tax on the recognition of the gain. Thus, combined, the client and the client’s daughter save $11,900 in income taxes. The daughter has $90,000, the proceeds from the sale, which she may choose to give back to the client. Assuming she does, they’ve each used $90,000 of their exclusion of $11.18 million. That still leaves $11.09 million each for future use. But, what happens after 2025 if the exclusion reverts to $5 million (plus inflation) as scheduled? Let’s say a client gives away $11 million today and dies in 2026 when the exclusion is $5 million (adjusted for inflation). 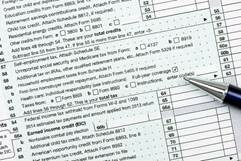 The client’s estate tax return considers prior taxable gifts. Would the client end up owing money for the exclusion the client used while the exclusion was temporarily doubled? It does not appear so. Section 2001(g) of the IRC appears to take into consideration the exclusion at the time the gift was made and directs that Treasury release regulations clarifying this. But, even in the unlikely event a “clawback” would occur at death post-2025, the client would still be better off using their doubled exclusion. At least they would have had the use of the exclusion for several years, so that they could use it to have the assets grow out of their estate. We now know that the exclusion is temporarily $11.18 million. There are many ways to use this exclusion, for estate, gift, and income tax purposes. Don’t let a potential “clawback” keep you from advising the use of the recently-doubled exclusion.